Are you lacking in motivation? Are you looking to achieve a goal, but it feels like it is slipping further away? Does life get in the way of your study and career plans? Do you feel like giving up? Maybe you have already given up? 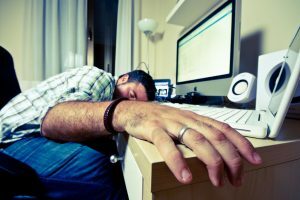 Many of us are familiar with a lack of motivation – and getting it back can be tough. In this two part article, we will look at what motivation is and what influences it. In the second part, we will round up six things that successful people do to get and stay motivated, even in difficult times. PART 1 – What is motivation? 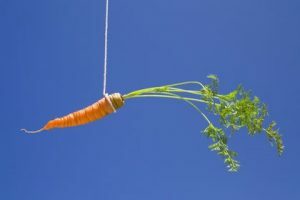 Motivation is defined as the ‘process that initiates, guides, and maintain goal-orientated behaviours.’ Motivation is the ‘thing’ – the carrot – that causes us to act. It is the driving force behind all kinds of action, such as the need for a glass of water to reduce our thirst, to reading a book on how space flight is achieved in order to gain knowledge. Motivation involves biological, emotional, social and cognitive forces that activate and drive behaviour. In everyday terms, motivation is used to describe why a person does something. Why do you go to work every day? Why do you go the gym? Why do you run? There are various theories of motivation, but for anyone with a big goal in life, they will soon discover that the simple desire to accomplish something is not motivation enough. Let’s consider the decision to run a marathon. For 26.2 miles, your body will take step after step. You may complete this feat to raise money for charity, or to get fit, to achieve a personal best, or just to say that you have run a marathon. These are all desires. Motivation is the ‘thing.’ It’s the reason – or the carrot – that compels you to train for the marathon, it’s what moves you off the sofa on a dark, windy night to run a 1-mile training run. To achieve your goal of running a marathon, you will need to persist through obstacles, enduring many difficulties and challenges. Activation – this is the decision to initiate a behaviour, from finding and enrolling on online accounting courses to deciding to run the marathon we discussed earlier. Persistence – this is the continued effort you need to put into the goal, even when obstacles exist. This may be the issues that get in the way of your studies or time, or the energy and effort needed to train for the marathon. Intensity – this is the concentration and the vigour needed when pursuing your goal. For example, your friend may seemingly coast through their longer training runs but you feel like you hobble, hop and stumble through yours. It leads you to question whether you can complete the full 26.2 miles. But you will keep training, and this is the intensity of your motivation. 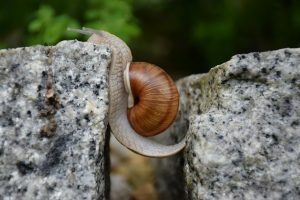 Finding your motivation and hanging on to it can be tough, especially when it seems like obstacles and hurdles come at you one after the other. Successful people seem full of vim and vigour, turning negative situations into positive without seeming to question or lose their motivation. We are told that setting goals is essential in our careers and our lives as a whole. Set your mind to something, keep it in sight and go for it. Your goal to be fit and slim by summer is all well and good, but how come plans to squeeze into a smaller bathing suit go out the window with the first whiff of chocolate? Your goals are not lofty enough. Radical motivation thinkers believe that goals need to be audacious, almost untouchable and unachievable. And yet we are told not to aim too high. So, which is it? Motivation experts point to entrepreneurs that have achieved lofty ambitions that at the outset many would have said were impossible to reach. Look at Elon Musk and his stellar career thus far… now do you see what we mean about BIG ambitions and goals?! So, you are running a marathon? Tell others and you will soon be amazed at how many people offer to run with you as you train. Completing an online accounting course? Friends and family will offer to look after the kids for an afternoon, or they might have a book that you may find interesting. The power of support is essential in achieving your ‘lofty ambitions,’ even though they may laugh at first, they will step up when they see your determination and motivation. If they don’t, then this is no great loss, as detractors are demotivating. The final S in the series of three is to look beyond yourself and to who else could benefit from you reaching your goal. It may be the people close to you – training for the marathon will make you fitter, leaner and less stressed, all known benefits of exercising – and your family will love the ‘new’ you. Your career goals primarily focus on you, but if you do bag your ideal job, your nearest and dearest will also benefit – maybe you will be earning more money, working better hours and taking them on grand holidays. There can also be philanthropic benefits to your goal. Musk, for example, wants pollution-free cars. This will mean that the whole planet will benefit, even those people who don’t drive or own a car. The feeling of serving something bigger and greater than ‘little old you’ is part and parcel of motivating yourself to remain on the path to your goal. Successful and motivated people have lots of things in common, and the 3Es will illustrate this. The first is E is eat. Eating healthily means your body is fit for purpose. Those high-fat, calorie laden takeaways are all well and good as a treat, but if you are eating them daily because you don’t have the time/energy/motivation to cook or to eat well, then your whole physical being is compromised. If you look at the likes of Elon Musk, Mark Zuckerberg and others, you will see a lifestyle that you may associate with the rich and famous. You might think, ‘of course they have time to visit the gym for two hours a day’ – but they didn’t get where they are today by being a couch potato. To achieve their lofty ambitions and goals, they worked towards them constantly. That meant late nights and challenges, but in order to maintain their businesses and their motivation they eat well and exercise. It doesn’t have to be an air-conditioned gym. A half hour power walk round the block will do just as well. Nope, this doesn’t mean switching your TV off – you should be doing that anyway – but managing your own energy. There are times when burning the midnight oil is essential in pursuit of greatness. You have an assignment to complete and you need to focus without distractions, so working on it at 10pm when everyone else is in bed makes sense. Productive sleep is about a sleeping pattern that suits you, so that when you wake up, you feel invigorated and well rested. If you don’t, you may need to take a look at when you sleep and for how long. We are taught to sleep through the night in a large block of time, usually between seven and nine hours. But there are other sleep cycles that can work better for some, so check which sleep cycle might work better for you. To get and stay motivated, you need to understand what motivation is and where it comes from. Once you have a greater understanding of what motivates you, you can swing into action, just like successful entrepreneurs and academics across the world. You need a goal that feels just beyond your grasp, and you need to share it. It is also helpful to understand who else will benefit by you reaching this goal. You need to eat well and exercise to keep your body in peak physical condition. If it were easy, we would all be doing it. We have to accept that at times, some of the challenges we face will dent our motivation. We may lose all sense of where we are going and why for weeks at a time, but we need to get back up and focus on the goal. This is why we constantly need to assess and review goals, where we are and what we are doing. We need to look at the people that surround us and understand their impact on our lives and our motivation. What motivates you? What destroys your motivation?